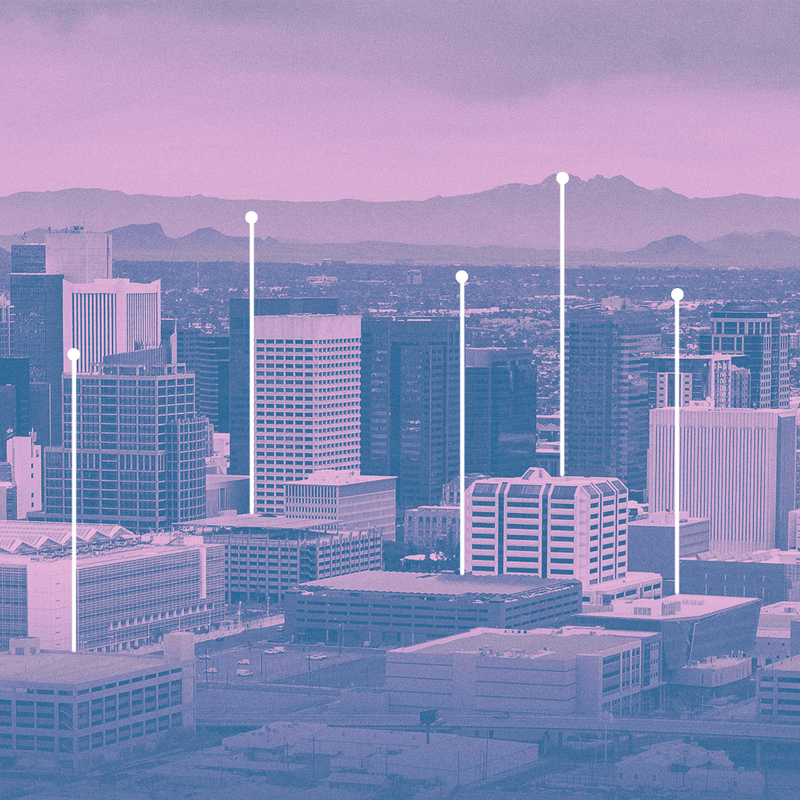 From driverless cars to cybersecurity, the Greater Phoenix region is on a hot pursuit of technology and innovation. Over the last decade, the business scene here has changed dramatically. The area is turning into a hotspot for tech startups looking for an alternative to expensive and overcrowded markets like Silicon Valley and New York. According to the Greater Phoenix Economic Council, the Greater Phoenix region has become one of the most attractive business destinations in the United States. The number of tech companies here grew from 67 to 281 in the last five years. One reason for this growth is its decentralization. Unlike other tech markets, tech talent is spread across a number of different clusters. The 5th largest city in the country and home to one of the fastest growing job markets, Phoenix is Arizona’s center for government, commerce, and culture. The city is an emerging leader in manufacturing, bioscience research, and advanced business services. Phoenix is also home to 21 of Arizona’s 35 accelerator and incubator programs. Scottsdale is an attractive destination for retailers, company headquarters, and technology leaders. 20% of Arizona’s corporate headquarters are located here. Scottsdale has a handful of co-working spaces and is l only a 30 minute drive from Phoenix. Tempe is home to world-class research facilities, major corporations, and 11 higher education institutions including Arizona State University, the #1 most innovative university in the U.S. Tempe is located 30 minutes outside of Phoenix and about 15 minutes from Scottsdale. Chandler is a growing financial and technology hub, home to industry leaders such as Intel, General Motors, and PayPal. The city was named the top place for millennial job seekers in Arizona by NerdWallet. Chandler is a half hour commute to Phoenix and 20 minutes from Tempe. Located just 15 miles east of Phoenix, Mesa offers a diverse economy. Mesa is home to Phoenix-Mesa Gateway Airport, which hosts more than 40 companies and reaches more than 35 destinations. The Banner Medical Simulation Center, one of the largest simulation centers in the world, is also located in Mesa. Interested in pursuing a career in tech? Thinkful offers fast paced, job-ready programs in web development, data science, and design. Students learn cutting-edge industry standards, 1-on-1 with a mentor who is a professional in their field. With career services, hiring partners, and job placement assistance - students will get a job in tech or get their tuition back.